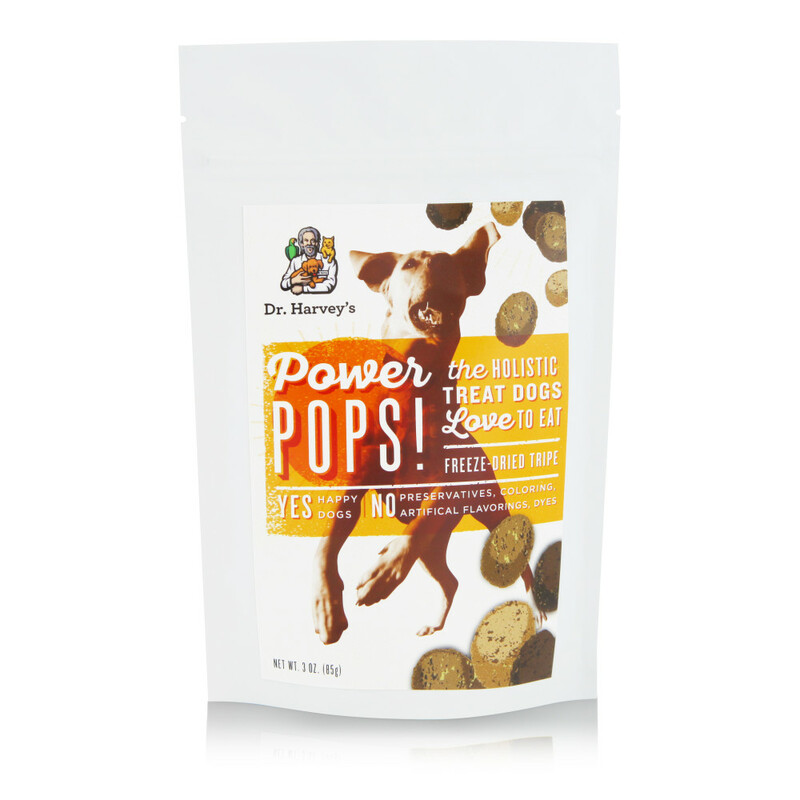 Dogs naturally crave tripe, and can’t resist the smell and taste of Power Pops! They’ll do almost anything to dig into another healthy, delicious treat. And Pet Parents will be happy to know that Power Pops are made with a single ingredient: Freeze-Dried Regional Green Tripe! Single Ingredient Treat — It’s Just Tripe! Tripe is the stomach of grass fed grazing cows. Unlike bleached tripe, green tripe is known to boost health, and has been shown to support digestion and help with weight maintenance. Most dog treats are full of chemicals, dyes, preservatives, and fillers. 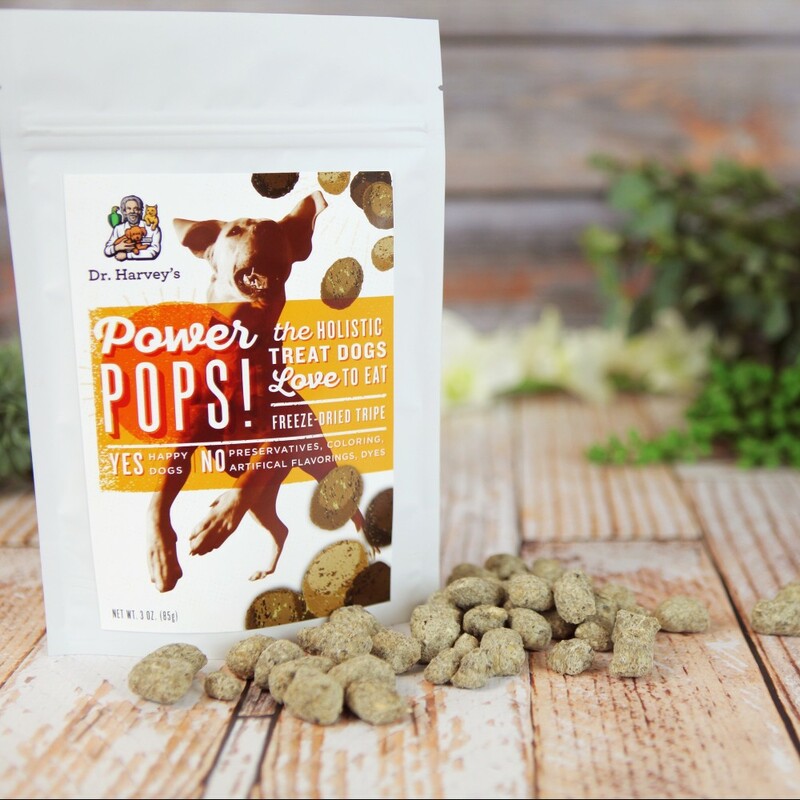 But freeze-dried green tripe Power Pops are loaded with 100% naturally-occurring vitamins, minerals, probiotics, enzymes, protein and healthy fats. As with all treats, Pet Parents should actively observe their dog while chewing any dog treat. Also note that Power Pops! are made from 100% natural raw meat. As such, we recommend that you wash your hands after handling. 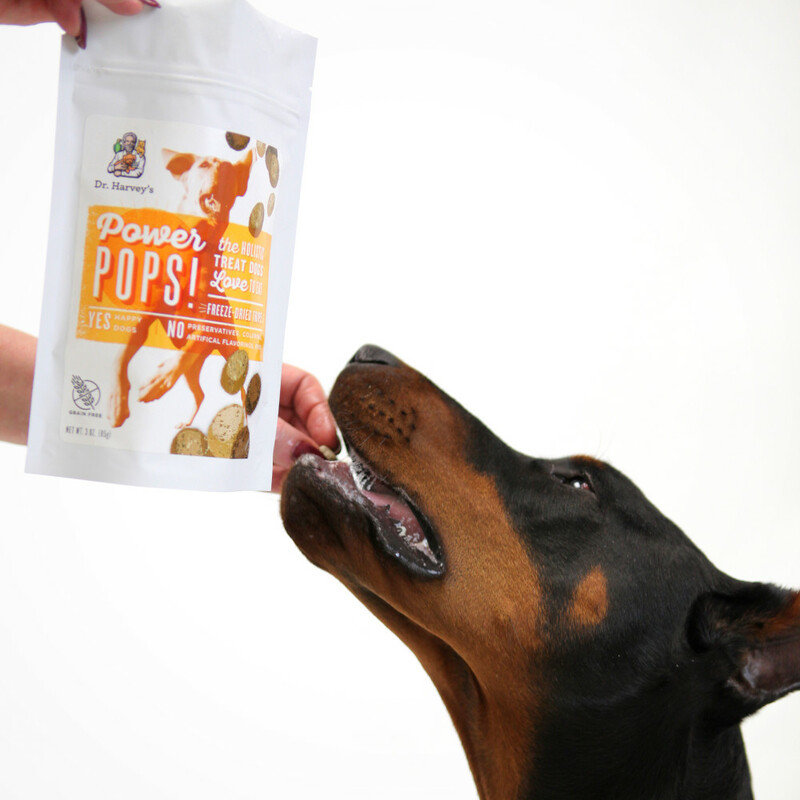 We proudly stand behind Power Pops and believe that it’s the perfect, healthy treat for your companion dog. If for any reason you (or your beloved companion!) aren’t satisfied, let us know and we’ll refund your money.